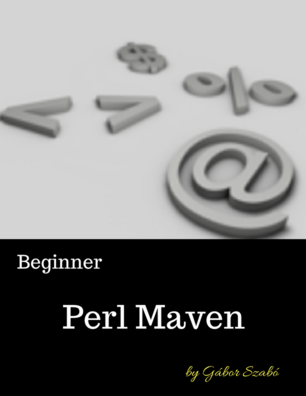 While most of the Perl tutorial deals with scripts saved in a file, we'll also see a couple of examples of one-liners. Even if you are using Padre or some other IDE that would let you run your script from the editor itself, it is very important to familiarize yourself with the command line (or shell) and be able to use perl from there. If you are using Linux, open a terminal window. You should see a prompt, probably ending with a $ sign. Based on this, I can see that I have version 5.12.3 of Perl installed on this Windows machine. 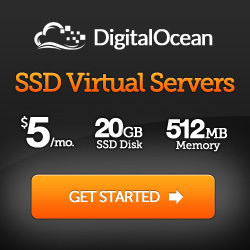 Please note, I used single-quote ' in Linux and double-quote " on Windows. This is due to the different behaviour of the command line on these two operating systems. Nothing to do with Perl. In general on Linux/Unix always use single-quotes around the code snippet, on Windows always use double-quotes. The result is on the beginning of the line, immediately followed by the prompt. This difference is due to different in the behavior of the two command-line interpreters. In this example we use the -e flag that tells perl, "Don't expect a file. The next thing on the command-line is the actual Perl code." This command: perl -i.bak -p -e "s/\bJava\b/Perl/" resume.txt will replace all appearance of the word Java by the word Perl in your résumé while keeping a backup of the file. On Linux you could even write this perl -i.bak -p -e 's/\bJava\b/Perl/' *.txt to replace Java by Perl in all your text files. In a later section we'll talk more about one-liners and you'll learn how to use them. Enough to say, the knowledge of one-liners is a very powerful weapon in your hands. 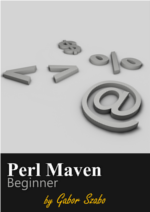 BTW If you are interested in some very good one-liners, I'd recommend reading Perl One-Liners explained by Peteris Krumins. If you need to do the same task, but as part of a larger script, check out the article on how to replace a string in a file. The next part is about core Perl documentation and CPAN module documentation.